This recipe, along with a great collection of other healthy, delicious dinners, can be found in my cookbook, Thermobexta Main Meals Made Easy, which you can check out here. Using cauliflower “rice” instead of arborio makes this a lighter option than regular risotto. 1. Place cauliflower in mixer bowl and turn it to “rice” by processing for 10 seconds/reverse/speed 4/MC on. Remove from bowl and set aside. 2. Into the bowl, place onion, garlic, oil and 40g water. Chop for 5 seconds/speed 5/MC on. Scrape down sides of bowl. Cook for 5 minutes/steaming temperature/speed 1/MC off. 3. Add curry powder. Cook for 1 minute/steaming temperature/speed 1/MC off. (if contents is quite dry when you add the powder, add a dash more water now too). 4. 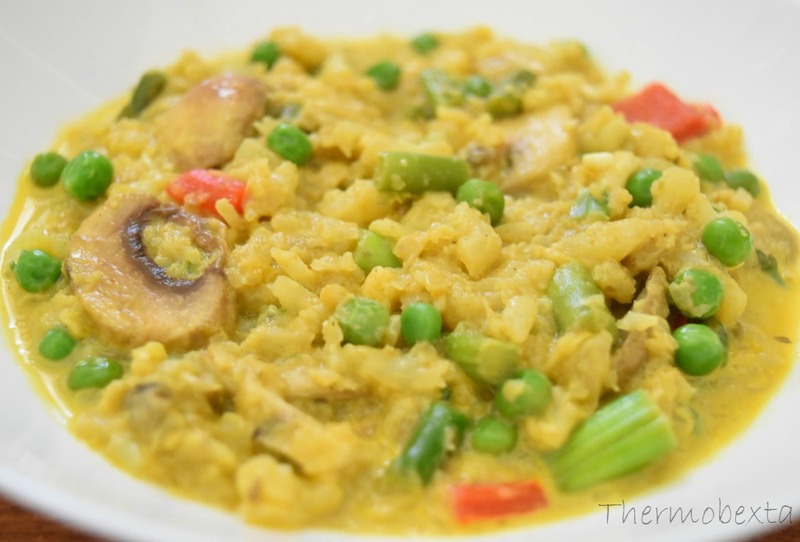 Add the riced cauliflower, mushrooms, beans, capsicum, peas, coconut cream and stock. Combine thoroughly with a spatula then cook for 9-10 minutes/100/reverse/speed 1/MC on, stopping to stir contents half way through this cooking time. Check after 9 minutes and if you want the vegetables a little more cooked, add the extra minute of cooking time. Enjoy alone, or with a fried egg or side salad – either way this is a lovely filling meal. To include chicken, at step 4, add 300g chicken thigh, diced into 2cm cubes. Haven’t made this for a while. Forgot how good it was. Thanks Bec. Wow I wasn’t really sure how this was going to taste but oh gosh, was delicious! Would definitely recommend and a great dish to use all your leftover veggies! I just used thickened cream as was all I had on hand. Thankyou! 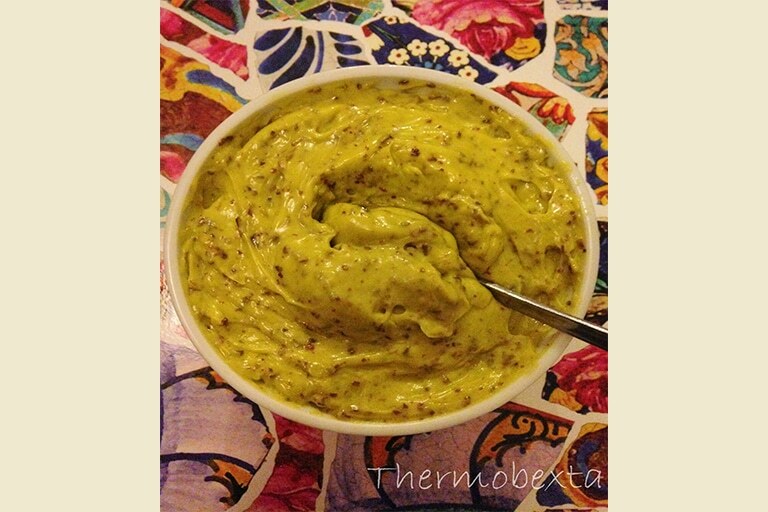 I thought I would try this recipe as love trying new things in my Thermomix. I thought it would be too healthy and not taste so great…..how wrong I was. Hubby even loved it and was surprised when I told him it wasn’t a rice dish as he thought. I was upset to find that I had used the last of my veggie stock so had to resort to powdered and it was still great. Making my veggie stock now in readiness for the next time I make this yummy recipe. Thanks so much. Hi does this work without the veggie stock concentrate? Thanks!